Introducing the Term 5 Design Team! A big THANK YOU to all the people who applied to be part of Cut it Up Challenge Blog's Design Team for its fifth term! There's so much talent out there, it was a really tough job narrowing it down to fill the available slots! Here is the new Design Team! You can click on their names to visit their blogs. While visiting, we'd love it if you became followers! The first challenge for our new team is next Friday, September 6th. We hope you come back then and check out their amazing projects and help us welcome the newcomers! 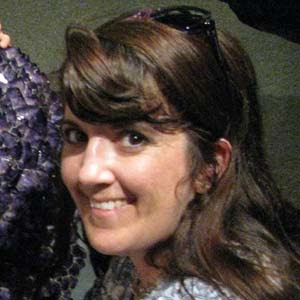 Hi, I’m Jessica from CraftyMrs (http://www.craftymrs.blogspot.com). I am a teacher by day and crafter by weekend. I have been married to my middle school sweetheart for 5 years. He just finished “crafting” me my dream home this past year. I have a well-loved niece and nephew that tend to be the main recipients of my craft creations. Paper crafting is my main hobby but I dabble with other mediums as well. My favorite tools in my craft loft are my cricut, cuttlebug, and sewing machine. I am looking forward to sharing my creations! Hello! My name is Karen. I am very excited to be on the Cut It Up Design Team! 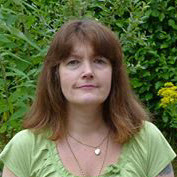 I have been happily married to my husband for 21 years. Our oldest daughter is 20. She is in her 3rd year at college majoring in Dance. My second daughter is 16. We love crafting together! My youngest child is a boy who is 10. He enjoys playing flag football and baseball. I started making scrapbook pages about 9 years ago. I still enjoy making them but when I received my first Cricut I really got into making cards. I use my Silhouette Cameo, Cricut, and Gypsy for just about everything I make. 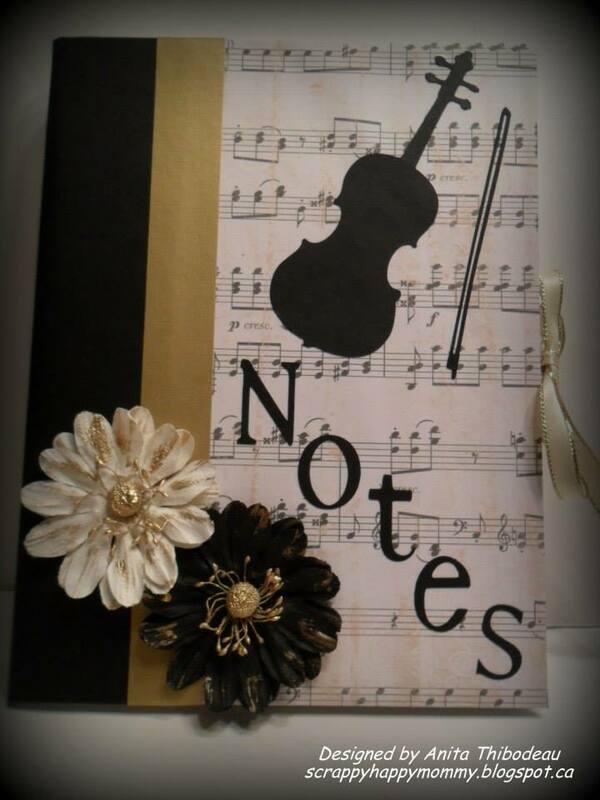 I also like making altered items like notebooks, frames, and chipboard albums. 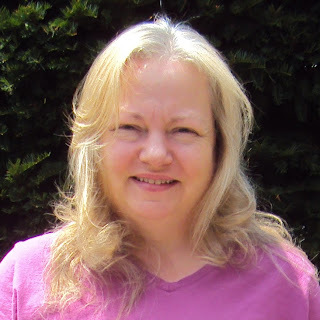 I started my blog in June 2011 and have loved every minute of it! Hello to all! My name is Migdalia and I am from New York. I am 42 yrs old and with a background in Sales. This year my other half and I will be making our 15 years together. We have a bird named Fred who loves to whistle. I have a younger sister and a handsome nephew. 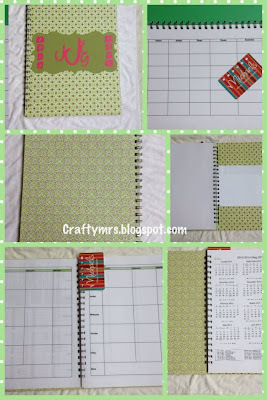 I started crafting several years ago but on 2010 I had began with setting up my blog but never completed it. Then on 2011, I began to pick up where I left off. My blog was set and I was introduced to bloggie world. Love it! 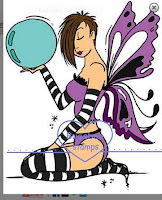 I use my Cricut and Gypsy all the time but I have been introduced to other tools like, the Cutttlebug, Spellbinders dies, and other crafting tools which I enjoy using on my projects. 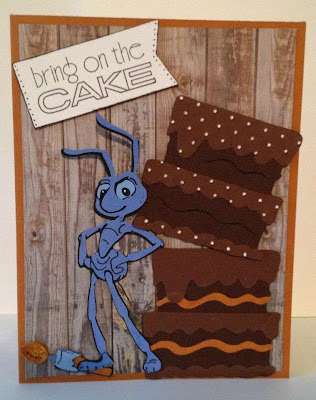 I love to make cards, especially for kids, altered projects, and I especially love to make any type of 3-d project with candy.Yummy! Oh! and I enjoy leaving bloggie love! I’ve always been crafty. I knit, was into counted cross-stitch for a few years, made beaded Christmas tree ornaments. 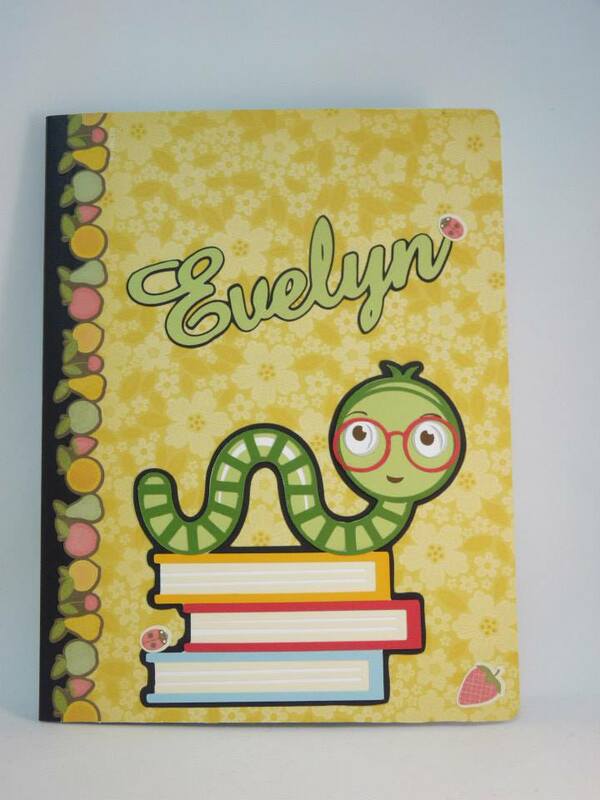 I’ve kept a scrapbook since I was a girl. It included grainy, out of focus black and white photos taken on school field trips and around my home, locks of hair from when I got it cut, and paint samples from when I painted my bedroom walls (pink and yellow.) 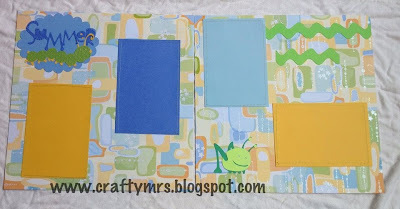 When I discovered scrapbooking, I took that old scrapbook apart and re-made it using all acid-free materials. I got frustrated with alphabet stickers, though, because I was always running out of the letters I needed. I wanted the Quickutz, then the Sizzix. While I was saving my money to buy one, I found out about the Cricut. The rest, as they say, is history! 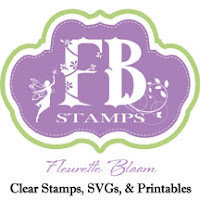 I now have two Cricut Expressions, a Gypsy, and a Bosskut Gazelle, and use all of them to make scrapbook layouts, cards, and other paper items as well. 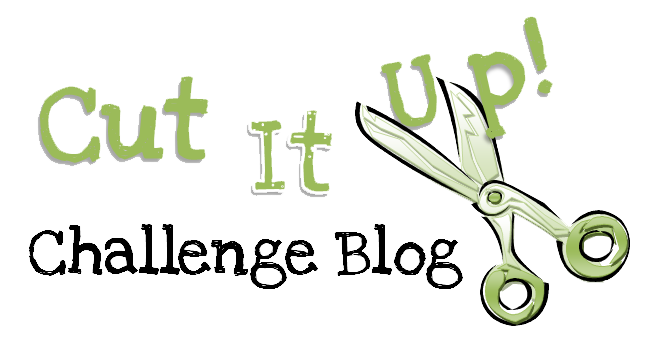 I'm honored and excited to be managing the Cut it Up Challenge Blog! Please warmly welcome the newest members of the Cut it Up Challenge Blog Design Team! Hello! 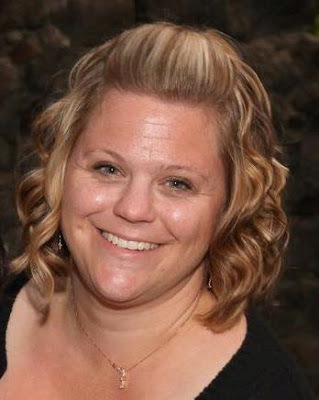 My name is Cindy Messer. I'm blessed to have a wonderful husband and to be a stay at home mom to two kids. I've been crafting in one form or another for as long as I can remember. Cards, mini albums, and home décor projects are my favorites. I love to learn new things and try different techniques. I also love to cook and bake. And I'm very excited to be a part of the Cut It Up DT!! Hi! 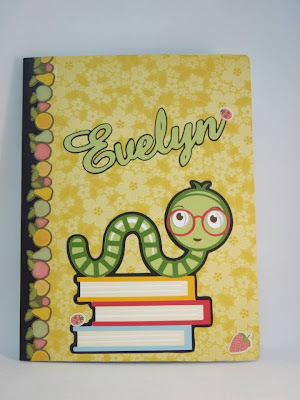 I'm Emily and even though my blog is Mollie's Motif, my real name is Emily. I live in Saratoga Springs, Utah. I am married to an awesome guy, he is my complete match. I am a SAHM to a son who is almost 5 and a 15 month old little girl. 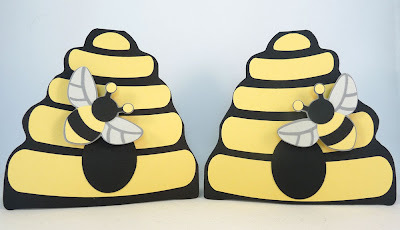 I have always had a love of paper and have done little paper crafts here and there, but I got really involved after I got my first Cricut for Christmas 2010. Crafting has become a big part of my life over the last couple years and I have loved every minute of it! I added the Cuttlebug within the first few months of my new hobby, and just last year upgraded to the Expression. I have found that crafting is my escape and I have needed to escape many times over the last year since having my baby and being the caretaker for my husband who was battling cancer; he's cancer free now! I love making cards, wood crafts, home decor, and fun goodie bags for friends and family. I also enjoy food - eating, baking, cooking - it's all good :) I enjoy cross-stitch and sewing too. 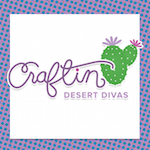 I look forward to getting to know so many more crafters through this experience and hopefully we can all inspire each other! 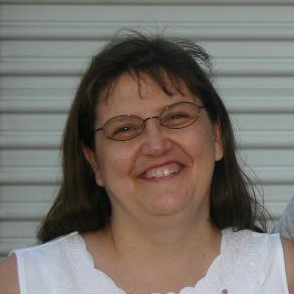 I have been married to my college sweetheart, Doug Houck, for 22 years. Doug is a wonderful husband and father and is completely supportive of my paper and stamp hobby/therapy. 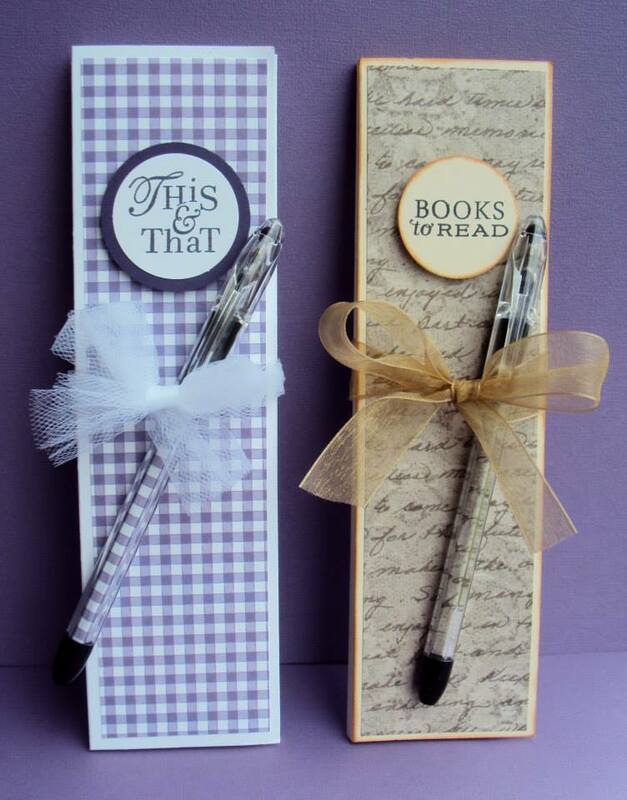 He even knows a few crafty terms, like vellum, acetate, card stock, and patterned paper (yeah, he's a keeper!) Before we were married one of my students gave me two kittens (my first set of twins LOL), and I named them Sadie and Skeeziks. Our furry children lived to be 14yo and 22yo, respectively! We have had many happy years when it was just us and our furry children, but also lots of fun when our non-furry children came along. Our twin girls are 11yo. The only thing I like better than paper play is our family time in the evenings and on weekends. Hi! 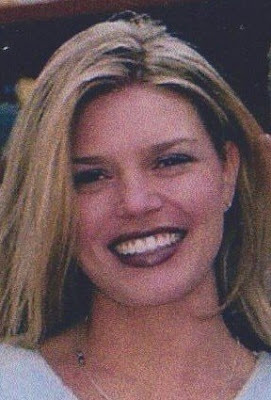 I am Katie Brooks, AKA kbstamps. I have been crafting for as long as I remember always trying to peddle my wares...in Jr. High & HS, hemp necklaces and beaded wares, college yeilded knited goods, and finally I found my one true love...Paper Crafting. 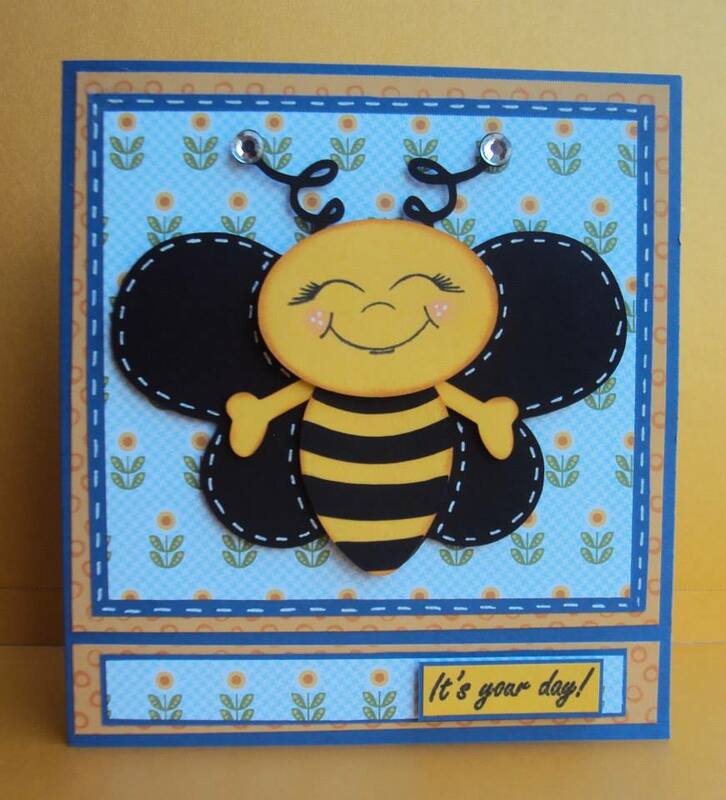 I can make cards quickly (relatively...) and share them with everyone I love and relieve stress at the same time! Cards are my big love but make scrap stuff and altered items occasionally too. In addition to my addiction...er...hobby... have a wonderful husband of 7 years and a 5 year old sweetie pie! LOVE them! I also work full time at a research center looking for a vaccine to HIV. My Big Shot is my number one tool that I love to use. I am SUPER thrilled to be joining the Cut-Up DT! I can't wait to get inky and cut-it all up! I am a freelance artist and designer for the craft industry and have been scrapbooking and die cutting since the purchase of my first Cricut machine nearly 7 years ago. I have been crafting in one avenue or another since I was very small - my mother dubbed me "The Queen of make-and-do." 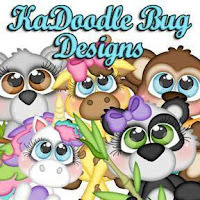 In addition to scrapbooking I do mixed media art work, crochet, beads, I do needlepoint and stitching, sew, dabble in quilting and dollhouses/dollhouse minis. 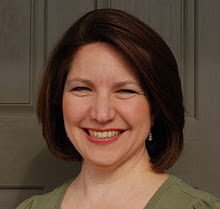 I teach colored pencil and mixed media classes online and previously owned an online papercrafts store, designed my own stamp line and started a crafting magazine called Through the Craft Room Door which is still in production. I have 2 grown boys and a small daughter and spend a good deal of time working with a rescue organization, Lost Dog and Cat Rescue Foundation. I specialize in rescuing pregnant cats and newborn kittens. 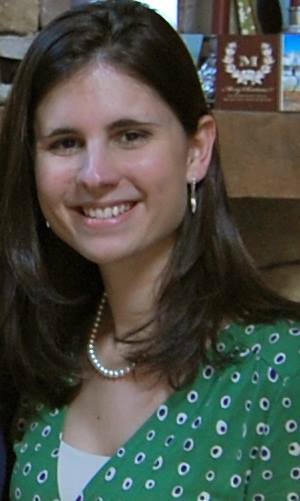 I have degrees in Political Science and Public Policy and live on the outskirts of the Washington DC metro area. You can find my work on my blog Pezadoodle Designs - http://pezadoodle.blogspot.com. My name is Sarah. I am married and we have a 21 year old son, who is away at college. We live in Michigan, but I consider myself a Southerner. I work part time at a local public school as a cook. I have been stamping for over 20 years. 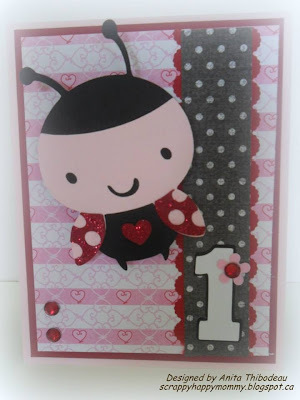 I do occasionally scrapbook but I mainly make cards. My style is more cutesy than anything with lots of layers and coloring. I also love different folds (easel cards, flip cards, rocking cards, etc.). I recently bought a Silhouette Cameo and I adore it. It makes card making so much easier. 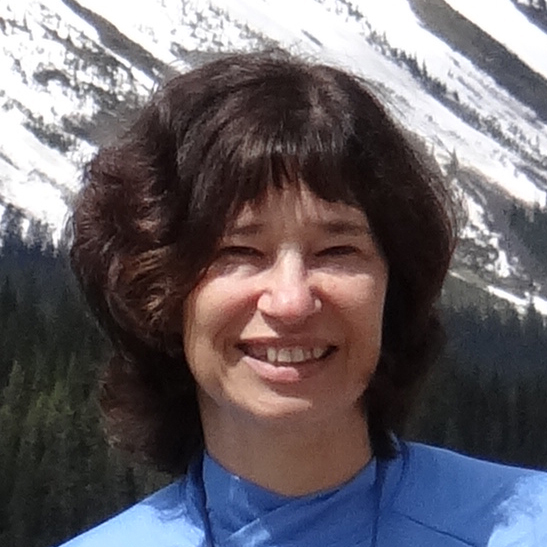 I look forward to sharing ideas and getting to know everyone. Hi everyone! I live in Georgia with the love of my life of 27 years. We have two daughters; the youngest is in her freshman year of college so we’re new empty nesters. I work full time as an Administrative Assistant. I bought my first Cricut a little over a year ago and now I own three! The crafting bug got the best of me. I love using my Cricuts, my Gypsy, and my Silhouette Cameo. I’m fairly new to blogging. 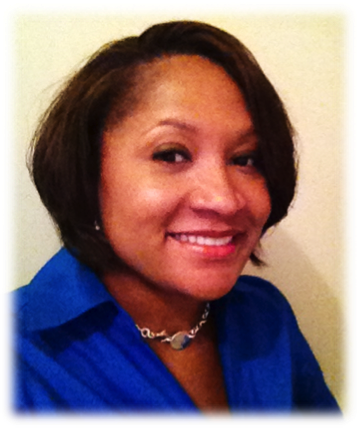 I started my blog in February of 2012 and it’s been a labor of love. It’s nice to be able to share my creations with the crafting community, while hoping to inspire and learn along the way. I also enjoy other crafts, but found cardmaking to be my true passion. Hi my Name Is Tania (although I usually sign my name on challenges as Taniaj.) I am 48 (just, August 1st) and live on the Isle of Man (The home of TT motor bike racing) somewhere in the middle of the Irish Sea, with my husband and 2 sons. I have been crafting since 2004 when I need something to keep me awake. I suffer from SAD in the winter months and this is what I decided to do. 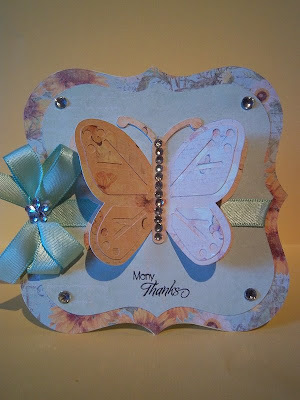 I have dabbled in card making, scrapbooking, ATC’s a bit of altered art. My favourite being card making; each card is a piece of art work and a bit of me. My husband says I don’t need a craft room because we live in a craft house!!!! I have recently found digital images which are super with my love for Pro Markers and a lot easier to store. I can have thousands of digi images on a memory stick and nobody is any wiser. When I'm not crafting, the day job is a teaching assistant and tutor at a local secondary school which I love, although it can be challenging and requires a lot of patience and empathy, so my down time is crafting and I find it so rewarding. 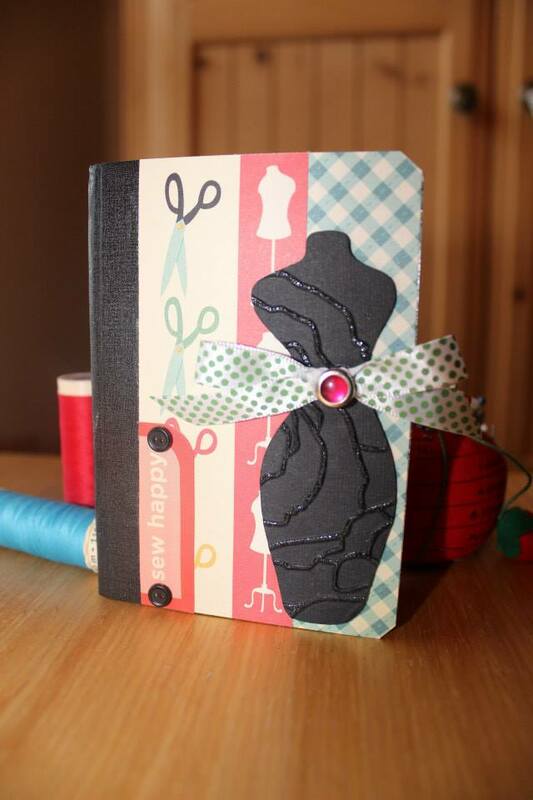 I am so looking forward to joining Cut It Up as it will encourage me to use my and to work with some talented crafters. Thank you all so much for playing along with us for challenge #25! Your buggie cards were so cool!! 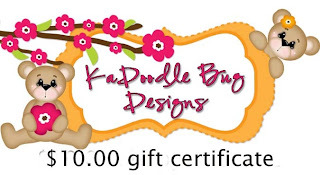 The prize winner picked by random.org for the Kadoodlebug Gift Certificate and the brads from The Eyelet Outlet is . . .
# 20, a busy bee! The design team once again had the difficult task of picking the choices for the "Top Cut." Make an altered notebook! Remember to include a die cut. We are extremely fortunate to be have two sponsors again this week! 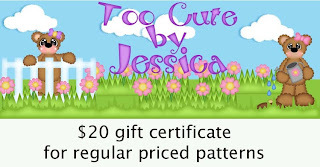 A $20 Coupon Code from As Cute as a Button! We want to see all your little bugs! Remember to include a die cut. We are extremely fortunate to be have two sponsors this week. 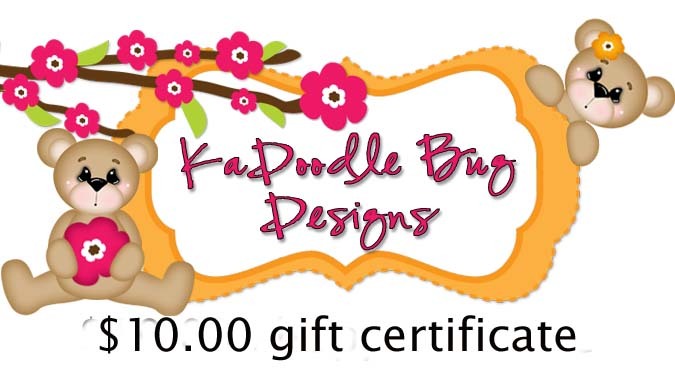 KaDoodle Bug Designs has generously donated a $10 gift certificate to their store. 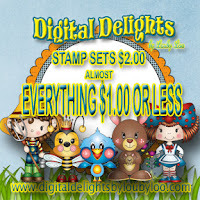 They have a big selection of adorable cut files, digi-stamps, and clip art! AND a grab bag full of great summer- and everyday-themed brads from The Eyelet Outlet! Labels: Challenge #25, What's Bugging You? Cut it Up Challenge Blog Design Team call!! Any other electronic or standard die cutting machines. Submissions will be taken until midnight, EDT August 16th. Successful applicants will be notified through e-mail by August 21st. Term 5 Design Team will be announced August 28th. First challenge for Term 5 designers is September 6th. Sound like something you would love to be part of? - A photo of two different types of projects that you feel best showcase your style. (These could be a card and a layout, or a card and an altered item, etc., as long as they are two different types of projects.) These projects can be current or past projects. - Tell us about yourself in a short paragraph explaining why you would like to be a part of this Design Team. 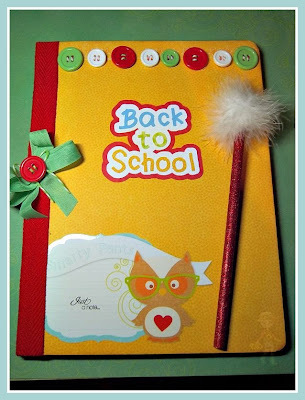 - Be willing to complete a project - card, scrapbook layout, 3D project, etc. - twice a month. - Post on the Cut it Up Facebook Fan page. - Occasionally used stamped or digital images or samples from sponsors. - Comment on challenge entries. - The challenges will be every other Friday starting September 6, 2013. - Can have more than one post on a Design Team posting day, just with a link at the top of other posts. - This is a 3-month term from September 6th - November 29th. 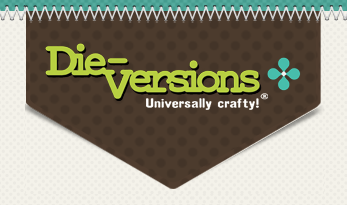 - Although this is not a paying gig, we can help spread the word about your crafting/cardmaking/scrapbooking awesomeness!! - All of the challenges will be given to you at the start of your 3-month term so that you have plenty of time to work on them whenever you have the chance. - A private Facebook group for Design Team members only. - Experience, inspiration, and the chance to be on an amazing team.